Dr. Hollander is a board-certified gastroenterologist specializing in diagnosis and therapy of Crohn's disease and ulcerative colitis. He is a professor of medicine at the University of California, Los Angeles (UCLA) School of Medicine. He has been taking care of patients with inflammatory bowel diseases for over 35 years. His major research area is intestinal inflammation. Before joining UCLA, he was the director of The Broad Foundation medical and scientific research initiatives including inflammatory bowel disease research. 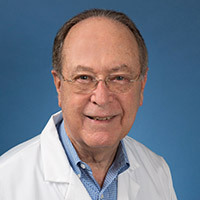 Dr. Hollander has also held several academic leadership positions including dean and professor of medicine at the University of Kansas School of Medicine. Prior to that, Dr. Hollander was professor of medicine and head of the Division of Gastroenterology at the University of California, Irvine. At the University of California at Irvine he also served as associate dean for research and program development, associate dean for academic affairs and senior associate dean for clinical affairs. Dr. Hollander also served as the president of the Los Angeles Biomedical Research Institute. Dr. Hollander's research has centered on intestinal absorption of nutrients and on paracellular transport and permeability of the intestine. He began his studies of the pathophysiology of inflammatory bowel diseases some 30 years ago by studying the intestinal permeability of patients with Crohn's disease and their family members and spouses. Since then, his studies have centered on the role of the intestinal tight junctions in intestinal inflammation and in the pathogenesis of Crohn’s Disease. Currently, Dr. Hollander is teaching and providing care to patients with Crohn’s disease and ulcerative colitis at UCLA Health.